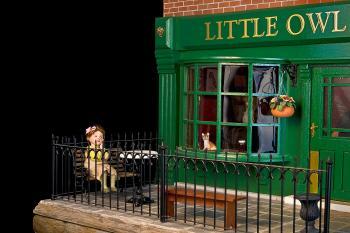 Eva has an unusual doll’s house – it’s a pub, called “The Little Owl”. 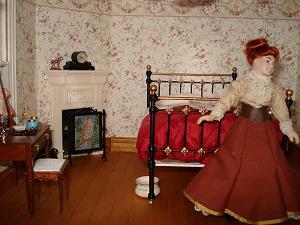 In the bedroom above the pub, there is a “Little Owl” firescreen in front of the fireplace, stitched on 32 count silk gauze. 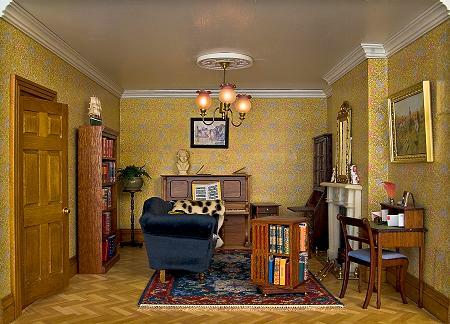 The focal point of the drawing room is the “Karen” carpet, surrounded by beautiful furniture. Eva stitched this in 2003. 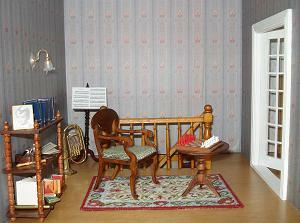 This final picture shows a “Prudence (cream)” carpet on the landing.